I remember so much from when I was a kid especially the times during the holidays. It brought me great joy to just be like it does many children. I think the things that made it so special were the traditions that surrounded the days. When I think about the kids that didn’t have it like this, it makes me truly upset. I will share some traditions I enjoyed along with ones that you can do as well. Most of these are free too!!! Picking out the tree together: This can be fun! It was for me especially as we got older and got to make fun of my dad while he was on the ground trying to saw it down. If you live where there is snow, you can even start a little snowball fight! Decorating the tree: The most obvious one! This one was really cool because of the timing. We always went to get our real tree the Sunday after Thanksgiving which is the start of Advent. We would bring it home and start decorating right away! My parents would start by putting it in the stand and then I got in the tiny spaces to bring the ribbon and the beads around. We would then argue over the spots where we would put our own ornaments. It was a good type of arguing (haha). Making ornaments: My mom is an artist so making ornaments was a yearly thing. My sister and I would make some for our family to give to them as gifts. My aunt still has all the ones I gave my late grandma. Now that she has passed and I still go to her house where my aunt lives, it makes it truly special like she is still there. Picking out an ornament: Maybe you aren’t artsy fartsy… that’s okay! Go to a store where it looks like Santa threw up in there and have your child pick one out. It’s always great to have them pick it out because if they take their ornaments when they move out, they can always remember that time that they went Christmas shopping with mom and dad and got to pick out their own memories. Baking cookies: Now would it really be Christmas if everyone didn’t get all full of cookie mix and food coloring? This tradition was one that I found a lot of joy in until my mom made me crack the eggs and I would get it all over my hands. I would get so frustrated. Maybe the younger children can simply decorate and the older children can help mix up the batter. Either way, they are part of the experience. Maybe matching aprons are in order? Sledding and then hot chocolate: This one is mostly free! If you have a sledding hill near your home or have a hill in your yard, you don’t have to pay for a lift. We had a hill near our home where we would go. We would spend hours there and then come home to someone making us hot chocolate to warm up. This is something that will never get old and is a lot of fun! Matching outfits: This isn’t something we did but I find it adorable when people take family Christmas photos that they are wearing the same color or the same outfit. Christmas movie nights: You can bring hot chocolate into this one as well! There are so many new Christmas movies and then there are the classics that they are now selling in a remastered format. Bring out good ol’ Frosty and Rudolph along with It’s a Wonderful Life. We would wait for them to come on TV but now we can get them and watch them anytime! 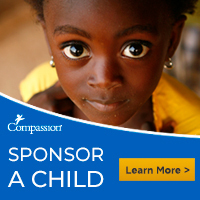 Compassion child: Bring Christmas to another child in the world by sponsoring a child. This is great to get the kids involved because many of these children can be the same age as your child and they can learn about how Christmas can be different in all parts of the world. But don’t stop sponsoring after the holiday! Continue with them so that they have a gift that continues on. Sponsor a child here. Caroling at a nursing home: This is one that I did but with my school rather than with the family but families can do this as well! I worked as a housekeeper in a nursing home and it’s really sad around the holidays with some people getting visitors and some not. Bring joy to those who might not be able to get out and enjoy the festivities and don’t have family surrounding them. Gingerbread houses: This kind of goes with the cookies but is really fun when the decorating comes into play. I keep seeing a meme that if the house breaks, add a dinosaur! Or you can add a monster truck, too! For those who don’t like to bake, there are kits out there that can help with that. Volunteering: Find joy in bringing joy to others! There are so many opportunities to volunteer around the holidays. Everyone is in the spirit of being selfless. I wish we did this more when I was a child. It really creates a mindset that can stay with your kids even beyond childhood. Operation Christmas child: Maybe you can’t afford to sponsor a child like I previously mentioned but you can fill a shoebox with things for kids to open on Christmas who don’t have anything else to open like your kids do. It’s too late this year to get in on this but every October, you can find shoebox pick up/drop off locations near you. You grab a box and then you select a gender and age. You can go onto the Samaritan’s Purse website to find ideas to fill the box. You can even have your child pick out things to put in there along with writing a note to the child! Donating toys and lightly used coats: This is something that I did often. Maybe your child got a toy last year that they ended up not playing with. Explain to your child that it’s okay because they will get new ones this year and the toy that didn’t get played with can go to a good home. Thank You’s: When the holidays are done, sending notes of gratitude to those who gave your child gifts is a good way to keep the holidays alive! Sure, you might have your child go around the room thanking people, but hand made thank you notes go a longer way. BONUS TRADITION: Bring Christ into Christmas if you haven’t already! Do a Nativity play or read about the birth of Jesus. Remember the reason for the season. But have fun too! Memories are something that stay with us forever so I hope this inspires you to make the holidays extra special. Some of these you might already do so I want to encourage you to keep doing them even if your child starts to think it’s dumb. I promise that when they get older, they will remember these traditions and cherish the memories. Maybe you can also find ways to modify these traditions so that they aren’t so cliche. Now, share with me what your traditions are! Great ideas!! I remember doing some of these as a child. Let's take this journey together! Comment below: How does your church practice Communion? I love that we still practice the Last Supper in Holy Communion. I love that different churches do it slightly different because we are still participating in the remembrance of the sacrifice but being individuals about it. ©2015-2018 Ashton Firkus, All rights reserved. All material published here is original. I am open to reblogging and quoting, but please give me the respect I would give you by giving credit where it is due.